Matthew graduated Podiatry with honours from the Queensland University of technology, whilst receiving the award for biomechanical excellence. He immediately undertook full-time private practice work in Victoria, where his skills as a practitioner developed under the guidance of skilled podiatrists. At the same time, he worked closely with one of the most prominent foot and ankle surgeons in Australia, establishing a passion for surgical podiatry and complex foot cases. From then Matthew has gone on to become one of the most skilled podiatrists in Australia, culminating in a Master’s degree in Podiatry and the prestigious rights to prescribe medications specific to podiatry problems. This allows Matthew to prescribe medications such as antibiotics, pain medication, and corticosteroid injections. He and his wife Stacey became practice owners in 2006 and have developed 6 full-time practices, South East Podiatry and Medifoot Podiatry, building a reputation for excellence, premium service and cutting-edge therapies in podiatry medicine. South East Podiatry and Medifoot Podiatry became My FootDr in 2018, where they continue to provide top podiatry services without compromising thoroughness and care to the patient. Matthew specializes in elite sports podiatry, complex podiatry cases and injection therapies for chronic problems. He also has a keen interest in children’s foot health needs. With nearly 17 years of professional practice experience, Matthew is the most senior podiatrist on the team and routinely provides training to upskill the other podiatry practitioners. 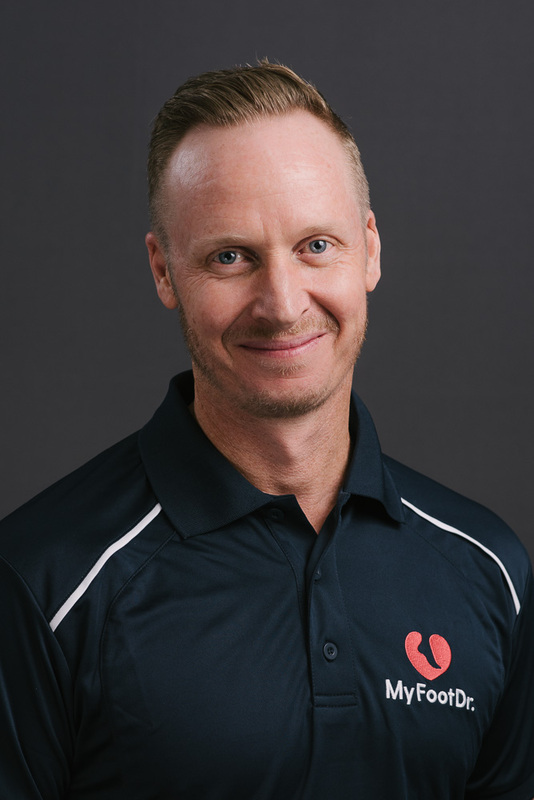 He is a Member of Sports Medicine Australia, Australian Academy of Sports Member, and an affiliate Member of the Australian College of Podiatric Surgeons. It’s not all podiatry though for Matthew, in his spare time he enjoys keeping fit through CrossFit and strength training, as well as spending time with his two children.